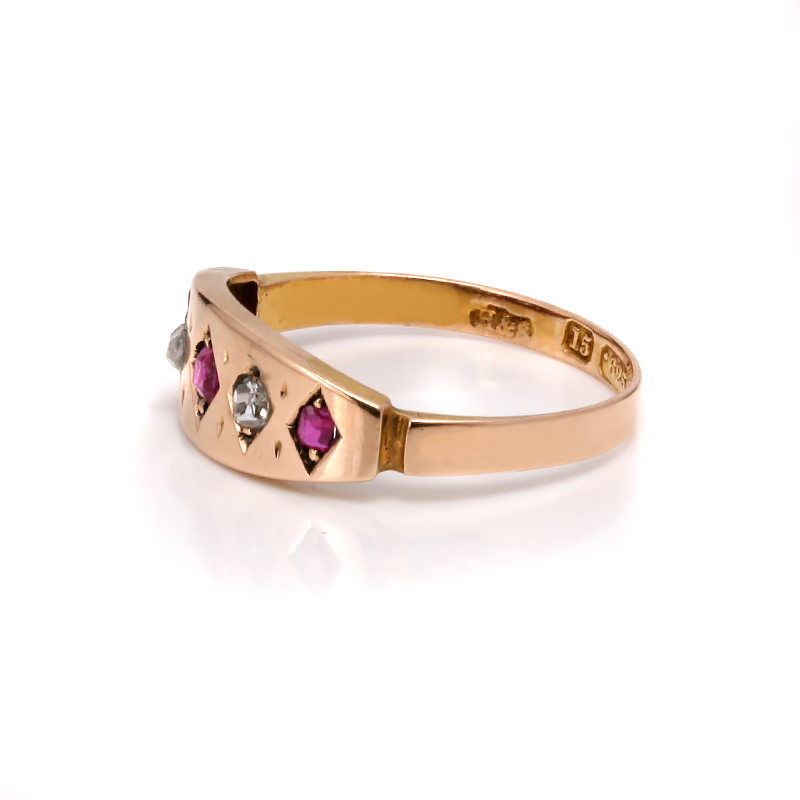 Product code: ES6744 Categories: Sold Items, Sold Rings. Here is a very elegant and versatile antique ruby and diamond ring that was made in 1879 and is so comfortable and easy to wear all the time, day or night and always be loved and cherished. Made in 15ct rose gold, the colour of the gold is just so lovely and has a gorgeous rose colour often associated with 15ct gold. 15ct gold was only used for a brief period until 1931 and has become collectable in its own right. However it is of course the design plus the addition of both rubies and diamonds that really compliment the rose gold so well making this ring so much more beautiful. Measuring 6.5mm wide at the centre, the ring tapers down so beautifully as it goes down and the ring is set with three beautiful rubies and two diamonds that add an elegant charm and sparkle to the ring. No matter when this ring is worn, this is a style of ring that will always be admired when it is worn with pride.